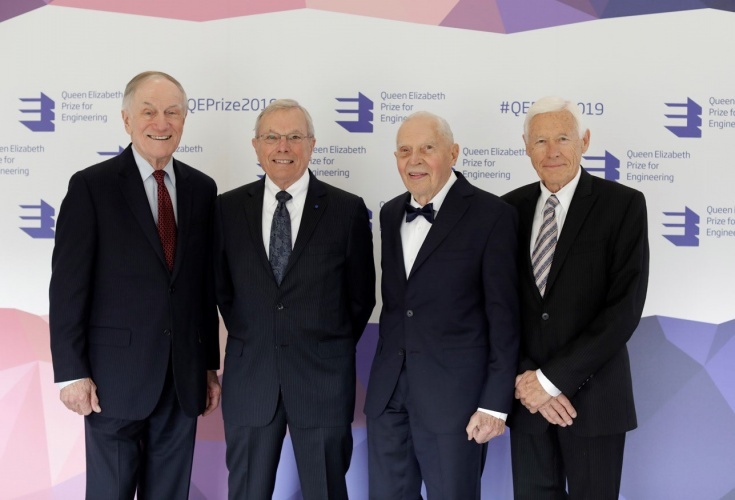 The pioneering US engineers behind the development of GPS (the first global satellite based positioning system) have won the 2019 Queen Elizabeth Prize for Engineering. 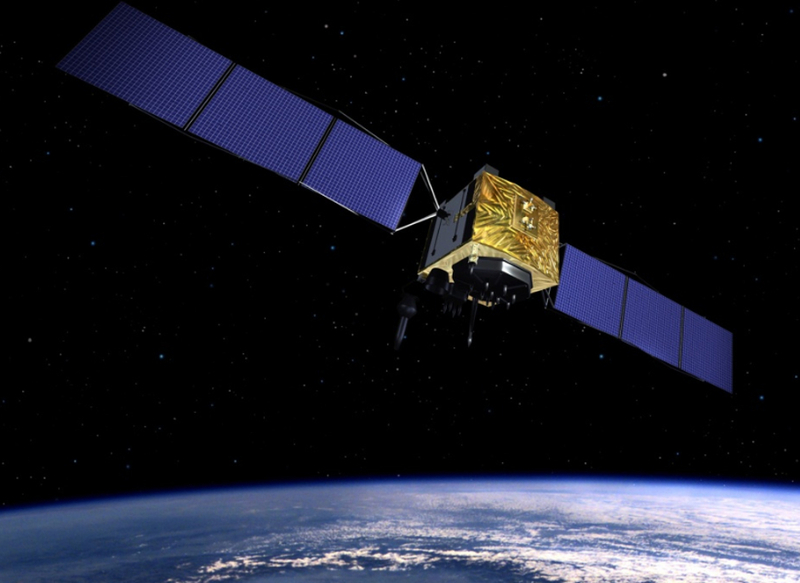 Developed though a US department of defence project which began life in 1973, GPS uses a constellation of at least 24 orbiting satellites, ground stations and receiving devices. Each satellite broadcasts a radio signal containing its location and the time from an on-board atomic clock. GPS receivers need signals from at least four satellites to determine their position, they measure the time delay in each signal to calculate the distance to each satellite, then use that information to pinpoint the receivers location on earth. Each satellite makes a near circular orbit around the globe twice a day, equally spaced around the equator, allowing users from virtually anywhere on Earth to access the system. Receiving the award at the Royal Academy of Engineering in London, program director and so-called “father of GPS” Dr Bradford Parkinson said: “it’s a recognition not just of the four of us but of scores of engineers that actually made it possible. It’s a deep honour, I appreciate what you have done in recognising people who are virtually anonymous: engineers. Parkinson added that despite the technology’s origins in the defence sector it was always envisaged that it would have a positive effect on the wider civilian world. “One of the most important things we had when the project started was a vision of world impact. Without that inspiration it would have been difficult for us to weather the storms of doing something for the first time,” he said. He added that whilst he and his fellow pioneers couldn’t have foreseen the full impact of the technology, early applications envisaged by the team included car navigation systems, and air traffic control, two areas which have been fundamentally transformed by GPS. The three other members of the team were Hugo Freuhauf, who as chief engineer of Rockwell Industries led the development of the miniaturised atomic clocks that are at the heart of the GPS satellites; Richard Schwartz, program manager at Rockwell, who was the engineer charged with developing the satellites and Professor James Spilker, who designed the signal the satellites broadcast, as well as the first receiver to process the GPS satellite signals. In an intriguing example of reality following fiction, Spilker told The Engineer that his initial work was influenced by the ideas of science-fiction writer Arthur C Clarke, who famously predicted the use of satellites for communication back in 1945. Fantastic award for a pivotal advance. I note that even those responsible recognise the sad? situation where such had military connections at its beginning: but definitely the ‘sword’ has been converted to a ‘ploughshare’! Are we not all, all the better from standing upon the shoulders of giants to see the future! PS I have recently been watching a Channel 4 programme about the training of Junior Soldiers. Was very surprised to note what I believed to be a substantial omission in this: no map-reading or compass work whatsoever! I hesitate to point out that presumably at the start of any future major conflict, the first thing to be ‘outed’ will surely be the GPS system?